13 in whom you also, having heard the word of the truth, the Good News of your salvation—in whom, having also believed, you were sealed with the Holy Spirit of promise, 14 who is a pledge of our inheritance, to the redemption of God’s own possession, to the praise of his glory. The Bible says that we are the temple of the Holy Spirit (1 Corinthians 3:16). The Spirit of the living God that raised Christ from the dead dwells in every person that has received Jesus as their Lord and Savior. In today's promise, we read that God even sealed us with the Holy Spirit of promise to guarantee our coming inheritance. The Amplified Bible calls the Holy Spirit the first fruits, the pledge and foretaste, the down payment on our heritage of what is yet to come. Our God and Father so wants us to rest assured in our eternal inheritance that He gave His own Spirit to live in us as a pledge of His eternal commitment to us. 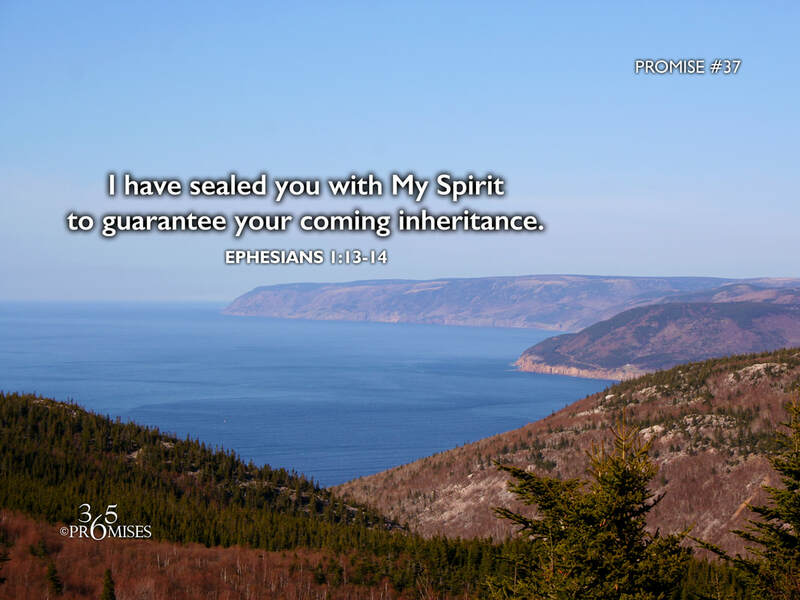 May we all be keenly aware of the abiding presence of the Holy Spirit that lives within us today, and may we all know that we are sealed with the Spirit as a promise to guarantee our coming inheritance.